Today I started out by finishing up the deburring of the tank skin edges. 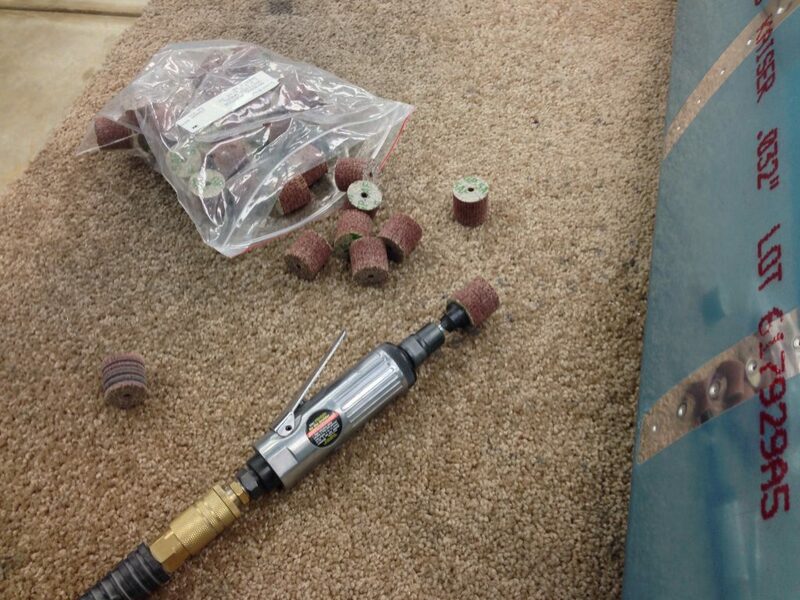 So I broke out the bag of 1″ 3M wheels and my die grinder to accomplish this task. I was able to finish both skins in an hour or so and moved on to the next task for the day, the tank baffle modifications. A brief history on why I’m going with the modification. It is said that it’s not “if” your Van’s fuel tanks will leak but more like “when”! These tanks are a “wet” design similar to the Lear I fly. That means that means all the tanks are built like any other part if the plane but just sealed with a product like caulk called ProSeal. This sealant is made to withstand chemicals like fuel. The problem is that it’s sometimes can be tough to get a “perfect” seal or one that lasts forever. Some tanks leak right away and you can fix while others can take days, weeks, months or years! So what do you do when you have sealed up your tanks and they start to leak down the road? Well the rear of the tanks there is a piece of aluminum called a baffle. 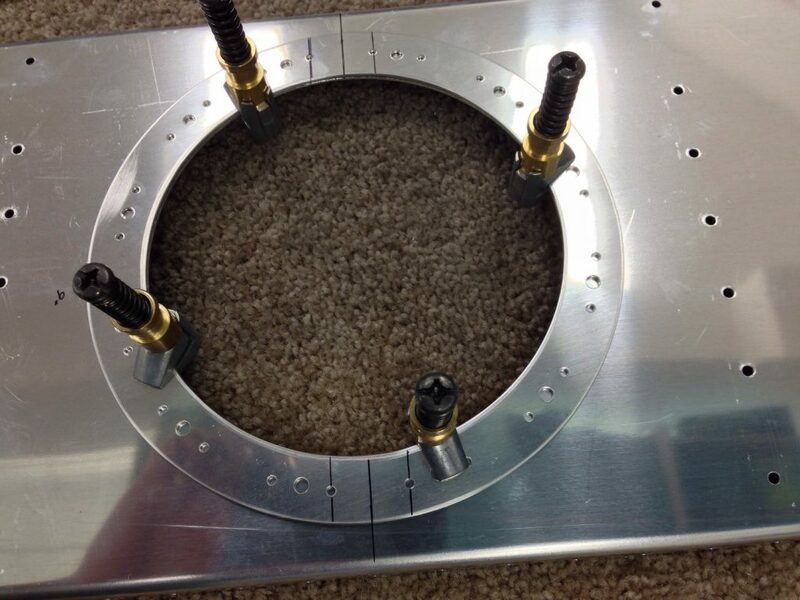 This is just the rear piece that allows the tank to be sealed with the skin and ribs. Should you develop a leak (or when) Van’s has you empty the tank of fuel and drill a ~5″ hole in the baffle between the two ribs that would allow you access to the area that has the leak. 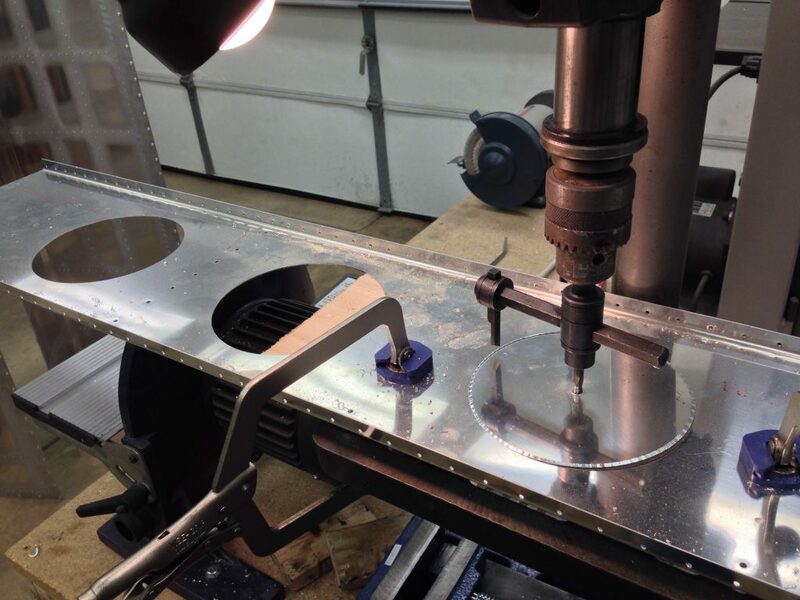 Once you fix the said leak, whether it’s from a bad rivet or the seal between the baffle and skin, you cap off the hole you cut with a plate. This happens so often that Van’s has a tank repair kit that includes the required parts. The downside is you now have introduced metal shavings into your tank where you drilled plus the pain of doing this on a completed tank. So with that knowledge I have decided to be proactive with my tanks and prepare for my possible leaks, hoping that I never have any! 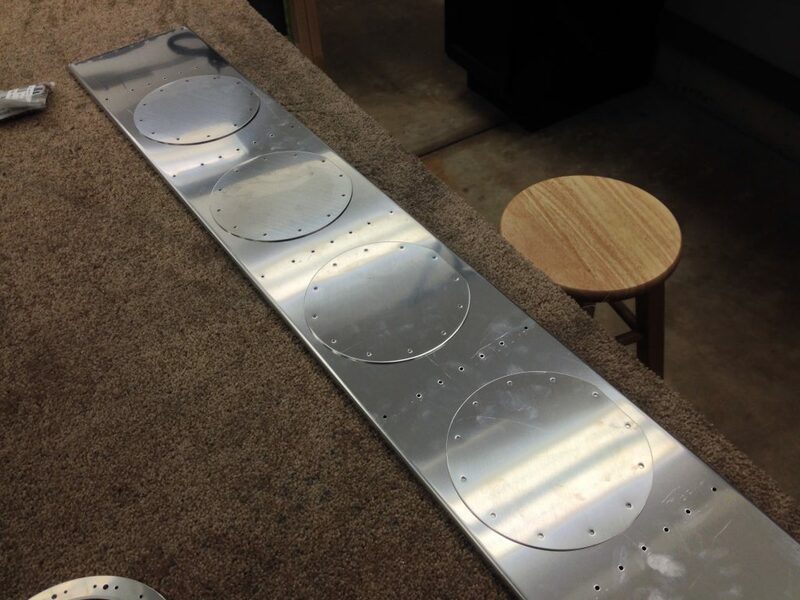 There are 4 bays in the tank that would need access so I ordered 8 of each of the access plates and reinforcement rings that I used for the inboard ribs of the tanks. These will allow me to beef up the hole and add platenuts so that the in the future I would just have to break the ProSeal and unscrew the access plate to gain access to the bay that has the problem. So might say that I just introduced more placed for possible leaks and I would agree however fixing a leak at these areas would be very easy! So I spent a couple hours debuting the edges of the parts for the holes. 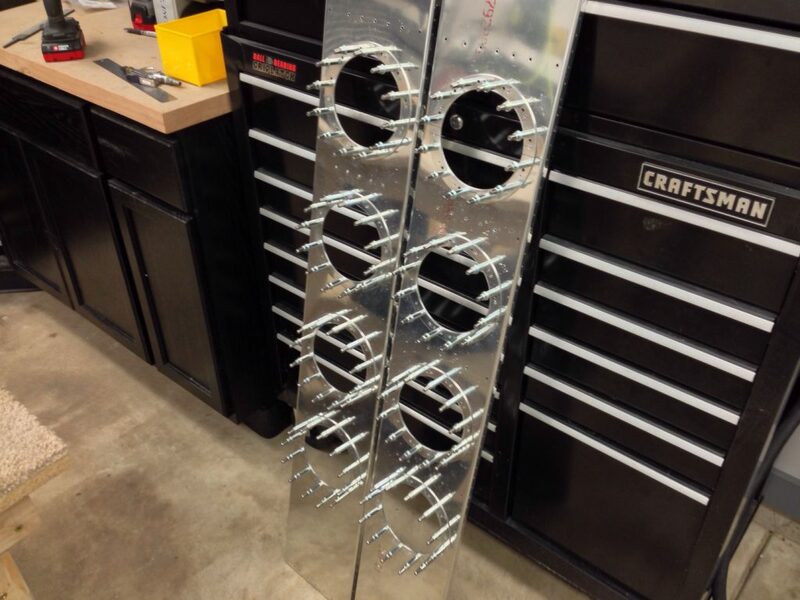 Then with several measurements I came up with the center of each bay on the baffles. With the center marked I setup my hole cutter in the drill press to make the cuts. 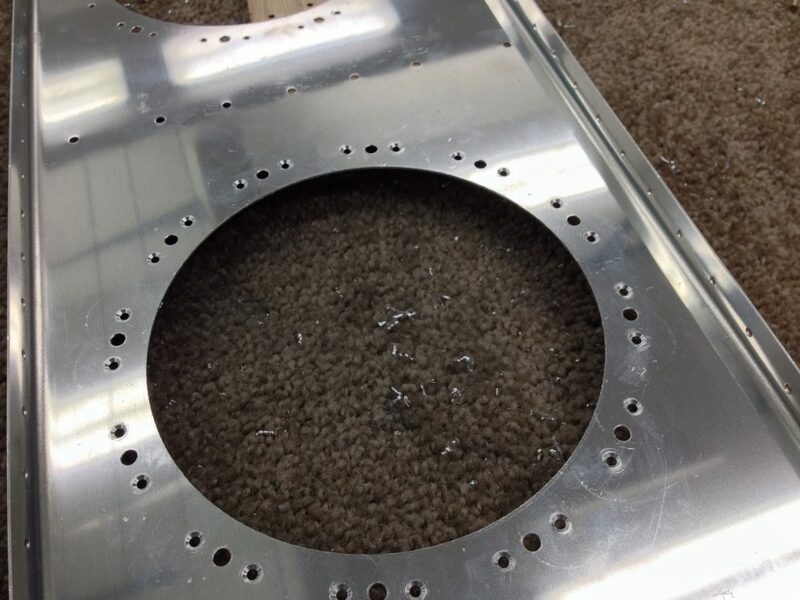 The reinforcement rings have the platenut holes predrilled so I used them as a drill guide for the baffles. I found the center of the ring and drew lines on them. 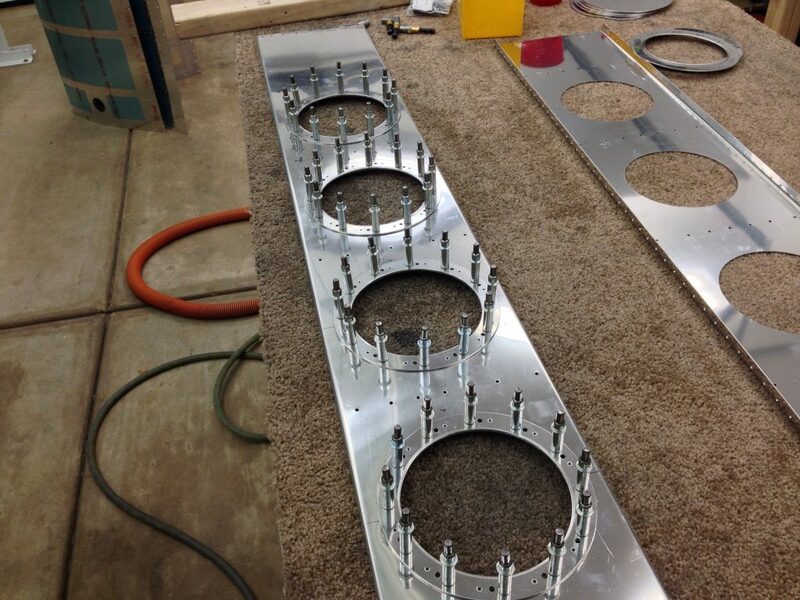 These lines will match up to the center lines on the baffles so that the access plates are lined up just right. I started by drilling one hole and adding a clecko and then drilling another hole until I had all the holes done. 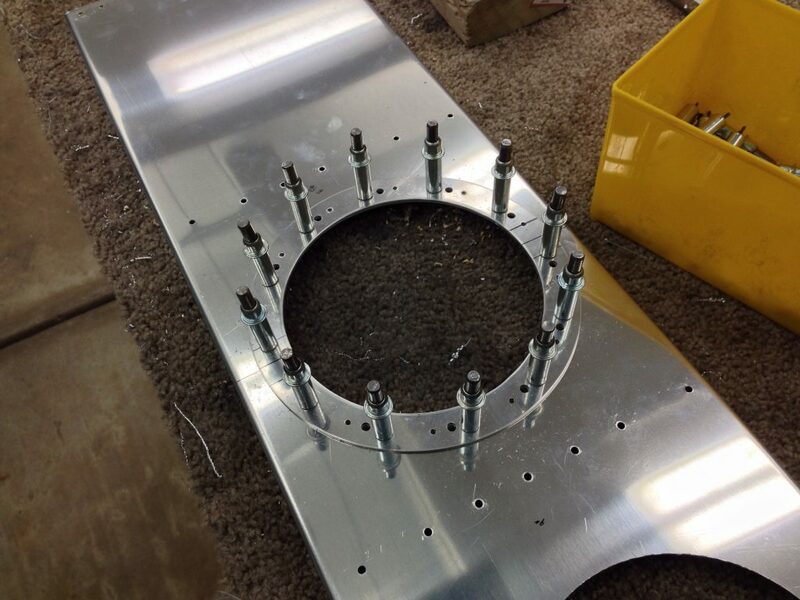 With all the #40 holes drilled for the platenut rivets I moved on to the #19 holes in the center of the platenuts for the #8 screws that will hold the access plates in place. 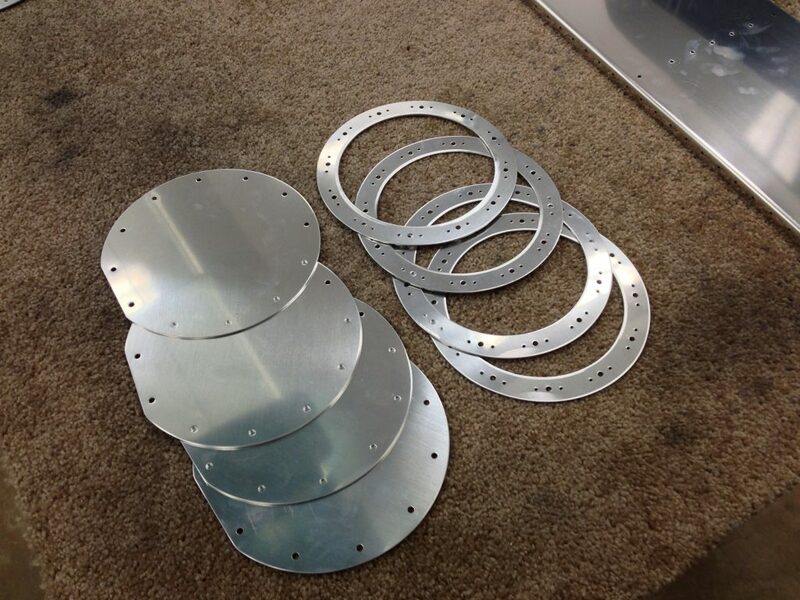 I took all the rings off the baffles and debured every hole on the baffles and the rings. 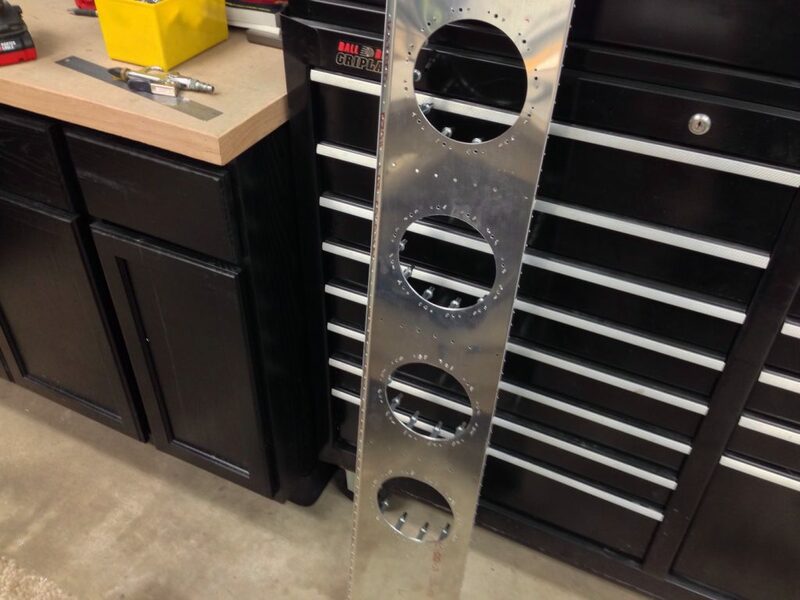 I then grabbed my countersink cage with the #40 bit and set the depth so that the rivet would sit flush with the baffle web allowing the access plate to sit flush with the baffle. 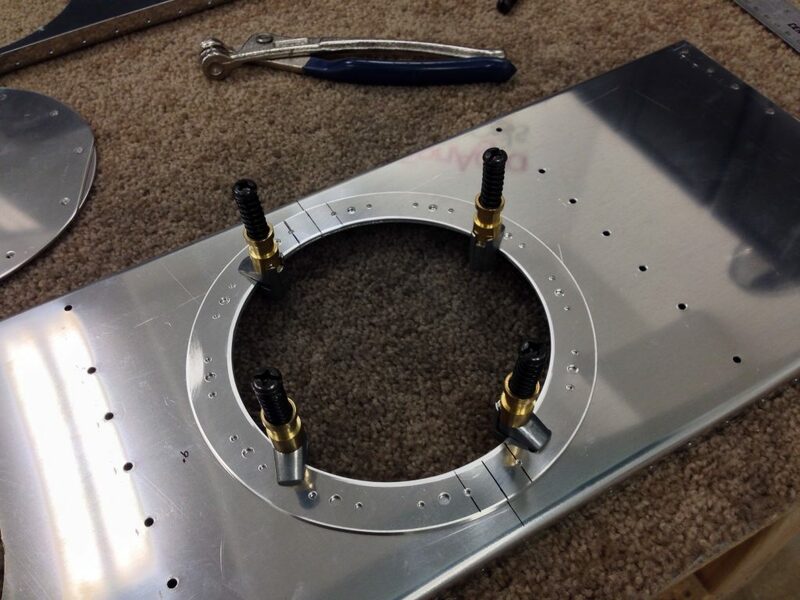 I got all the holes countersunk on the right baffle and decided to call it a day, whew that was 7 hours of fun work. I will get back at it tomorrow and try to finish up this mod! !